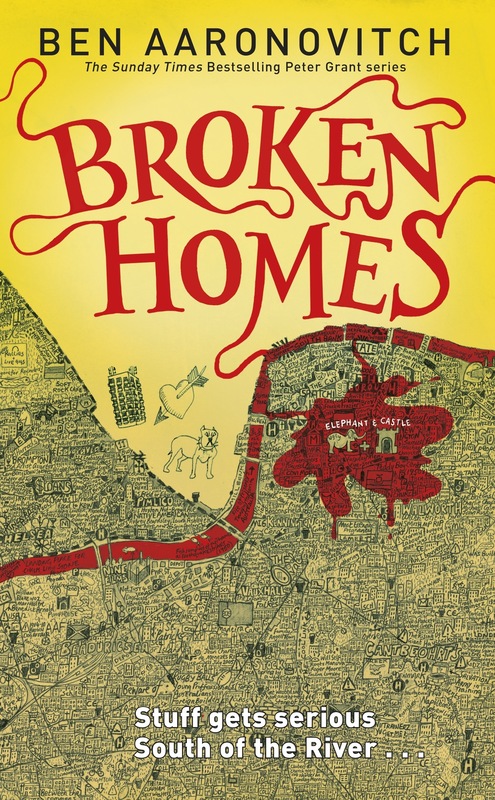 This is the fourth in Aaronovitch’s Peter Grant series – see previous blog posts for my thoughts on Rivers of London, Moon Over Soho and Whispers Under Ground. There is a different feel to this book from the previous ones and, to my mind, a welcome change. There is a greater focus on the quest for The Faceless Man and less world-building. However intriguing Aaronovitch’s fantastical elements around and beneath London are, some of the earlier books felt as if they were written to put in place a concept which would be used later: the personified Rivers (which are still, for me, the imaginative heart of the novels), the fae, the Quiet People. With this fourth book, a greater pace and return of The Faceless Man was welcome. This book opens with an arrest (normally the end of a police procedural) which, because of unexplained blood in the car, involves The Folly (the Metropolitan Police’s magical department) which is made up of Grant, his partner Lesley and his guv’nor Nightingale. This investigation runs broadly parallel with the search for Varvara Sidorovna, a Russian Nochnye Koldunyi or Night Witch. Sidorovna was first seen in Whispers Under Ground as an undercover nurse but it’s only here that she reveals the extent of her magic. And it’s pretty formidable! The plot lines all lead Peter and Lesley to Skygarden, a fictionalised complex of apartments and a central garden area in 1960s concrete. Skygarden is, in fact, such in integral image and plot device that Aaronovitch gives it it’s own locus genii, Sky the Dryad or Wood Nymph who, whilst immortal, ages annually with the year and, as the novel is set in Springtime, is capricious and childlike. And she just about stays on the right side of the capricious and childlike border without straying into the Jar-Jar Binks world of irritating. She is, actually, quite charming! There is an incredible assurance in Aaronovitch’s writing and characters and I love Grant’s mixture of self-assurance, police procedure and human frailty. I think I have said before that there is some very convincing and authoritative in Aaronovitch’s depiction of the workings of the police: the close relationship, the tensions, the rivalries, the occasionally ridiculous procedures and acronyms. Small details, such as the distance behind which officers follow each other through a door just in case the first one trips over a skateboard. Nightingale, though, is the heart of the novels: the folded steel core around which the other characters are decorative wood. Yes, that is a deliberate echo of Aaronovitch’s magical staff, which is another plot device to lure out The Faceless Man. Nightingale is the still centre of The Folly, radiating knowledge and power without demonstrating that much of it most of the time. He has similarities in that way with Doctor Who, a show that Aaronovitch has worked on and written for. I’m not going to give anything away, but we do witness (albeit from a crouching position, behind cover and from a significant distance) Nightingale in action in this novel. And he does not disappoint! The aftermath of the fight is perhaps a little clichéd and has a little too much of an eye on how it might look on a screen but it works well! There is a massive twist at the end of the book and – whilst I was expecting something along those lines to happen – the speed of it did take me by surprise. I’d thought we might be putting things in place, perhaps for book five! Personally, I think this was the most successful in a hugely enjoyable series! Can’t wait for the next one! Pingback: Sleepy Book Dragon | Are witches becoming popular again?